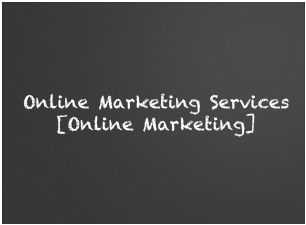 Online Marketing Coach is based in Cleveland, Ohio with clients in Akron, Columbus, Toledo, Youngstown, Canton and cities in other states like California, New York, Arizona, Texas, Michigan, Utah and more. Online Marketing Coach offers a wide range of services for small businesses who need the perspective of seasoned pros at prices they can afford. We don't require contracts and we offer to work with small business owners on their terms - no pre-baked packages that may not meet their needs. Free download of our small business study. Get an in-depth evaluation and recommendations based on your business for a one-time cost. Order Mike Murray's latest book. From ROI to competitive analysis, get the small business services you need. Learn more about our perspective on small businesses and ROI. Get the details about our SEO services. Would you like to explore paid search or improve your current effort? We can help with paid search. We can get your first campaign or your next one in good shape. Get the details about e-mail marketing. It's a vast arena and you can take part with the right social media strategy. Learn more. Learn how to make the most of Local Search opportunities. We have outstanding copywriters ready to support your next project. Find out about our website design and development services that can help you connect with potential customers. If you want to sell online, we have the tools and experience that can help you reach your goals. If you want to do well with online video, you should think through everything from the concept and script to lighting and sound. Find out about our online video marketing services.